We are thrilled to announce, on the heels of our Observer Editions post yesterday, another new addition to the family: Observer Quarterly. 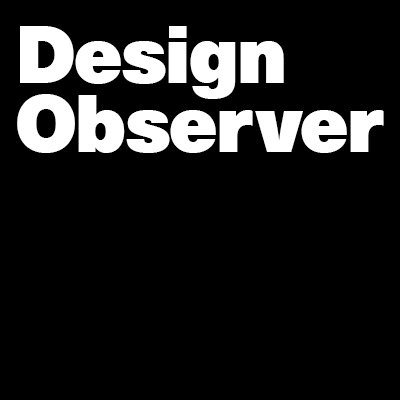 Observer Quarterly is a brand new magazine from Design Observer. Each themed issue will include new writing, interviews, and photography, alongside archival material that will draw a narrative between the history and current condition of new and underappreciated aspects of design culture. Our first issue, available now, is the Acoustic Issue—covering new ways of looking at sound as part of the design landscape. We've called on some old friends, current contributors, and new voices to focus on acoustic highlights within the realm of the visual, and examine new ways of considering sound as a vital part of design. Our next issue will untangle the idea of "tagging" in all its myriad definitions. You may purhcase single issues or subscriptions in the new Design Observer shop. This is great. Looking forward to having some Design Observer material in print form! I am interested into work for magazine like DesignObserver because I am writer and currently working for buy custom essays. The most attractive thing I like about this magazine that social innovation and popular culture which I like most.